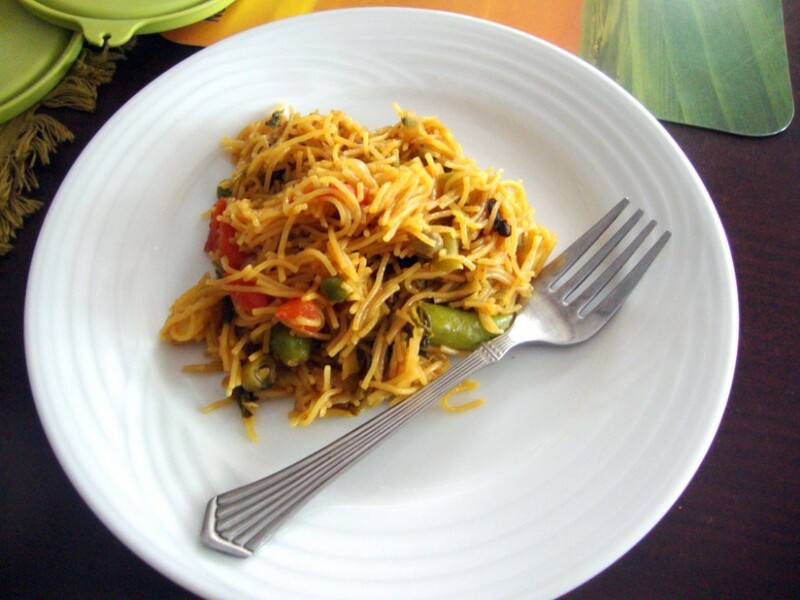 Vermicelli was almost a staple ingredient in Amma’s kitchen. Even when she used to make Semiya Upma, I made sure I had something else to eat and avoided vermicelli with vengeance. 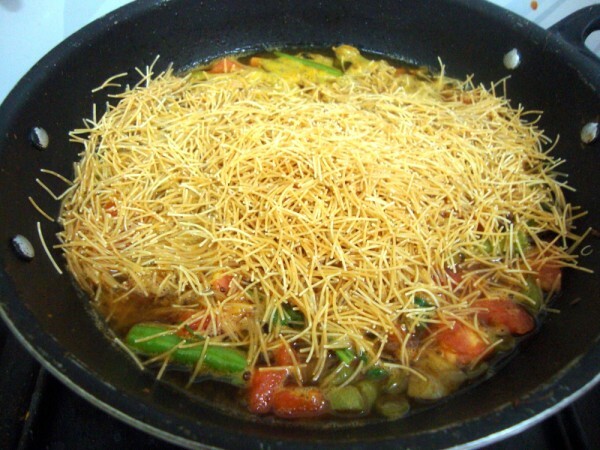 Then when I had my own kitchen, I realised what a saver vermicelli is, at times. Even then I didn’t make it often enough. On the other hand, Athamma loves this and always keeps reminding me that I should get it in the regular grocery. For all the dislike I had hearing the name, I actually end up eating it well when Amma or Athamma makes it. My problem has always been in making it too soggy. So I happily let Athamma cook this anytime she wants. She makes the best Vermicelli pulao, and the upma that Amma makes comes out awesome. With this many varieties, I felt I should check out what the pack cover recipe talks about and found this biryani listed out. I have been wanting to make this for over months. As hubby dear has changed his eating habit and takes tiffin for lunch, this worked out really well. Since I used roasted variety it ended up being very quick and simple. 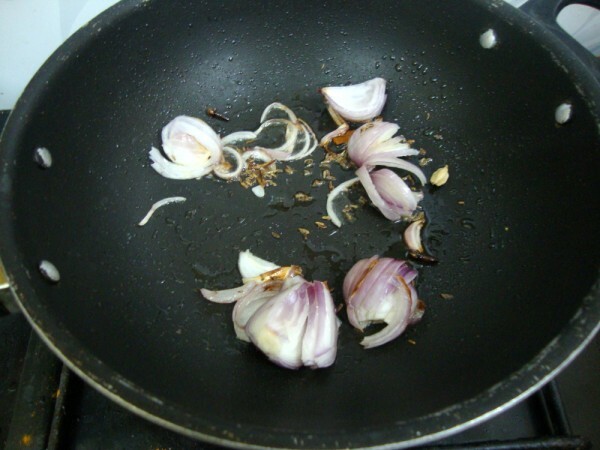 Take oil in a non stick pan, add all the whole spices. 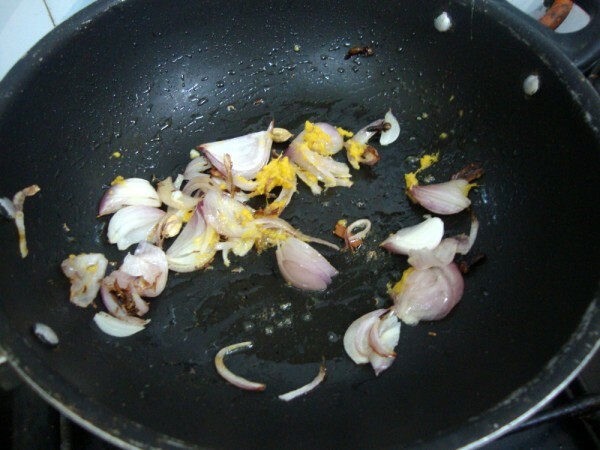 Then add chopped onions, saute well, followed by the ginger garlic paste. Cook for couple of mins til the raw smell leaves. 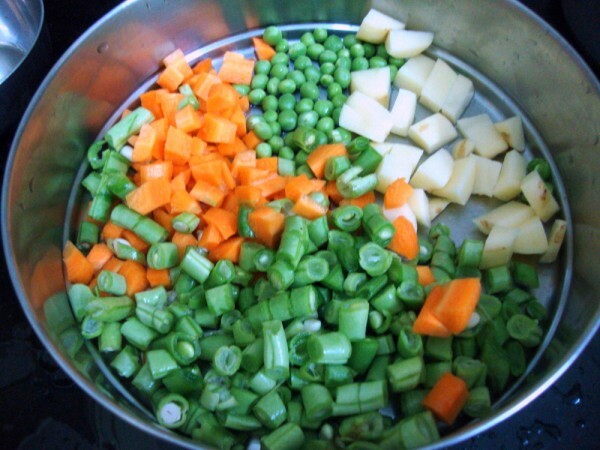 Meanwhile chop vegetables, micro for 10 mins. 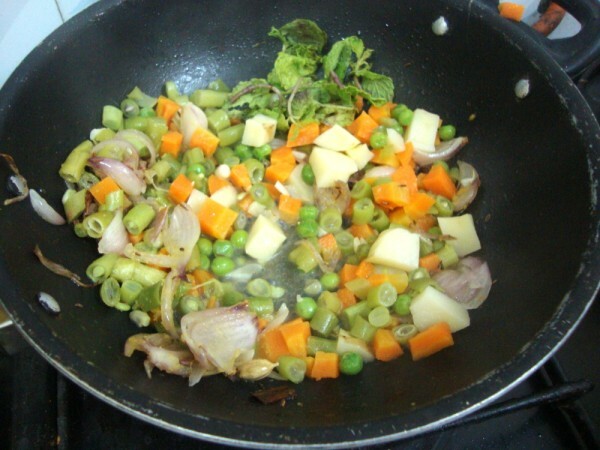 Then add cooked vegetables, saute till the vegetables are dry. 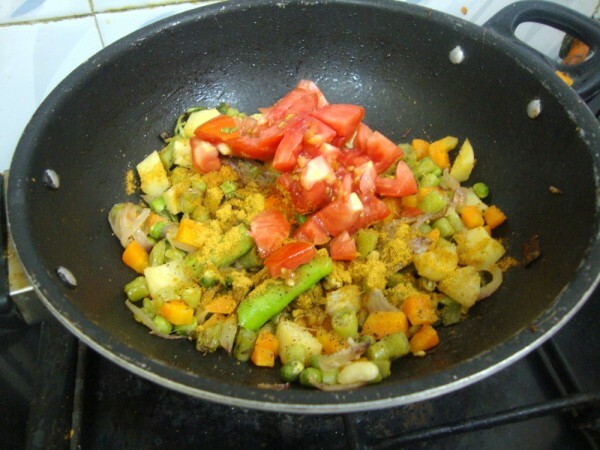 Then add the coriander powder, turmeric powder and mix everything well together. Then add water and bring to boil. 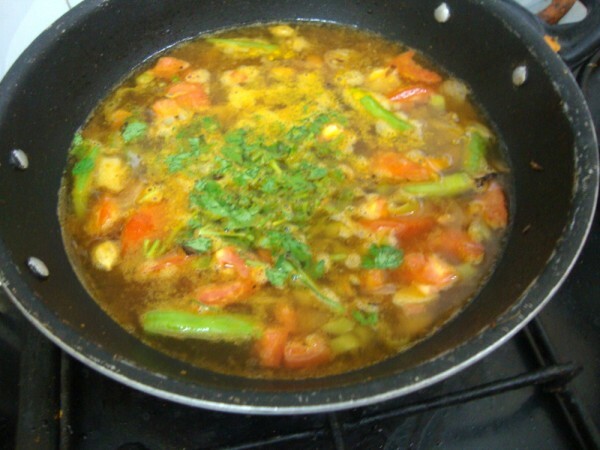 Finely chopped coriander leaves can be added at this stage. Cover with lid and bring to boil. Once the water starts boiling, add roasted vermicelli and mix well. Simmer with the lid covered. Stir in between. Notes: Cooking the vegetables in microwave speedups the cooking. 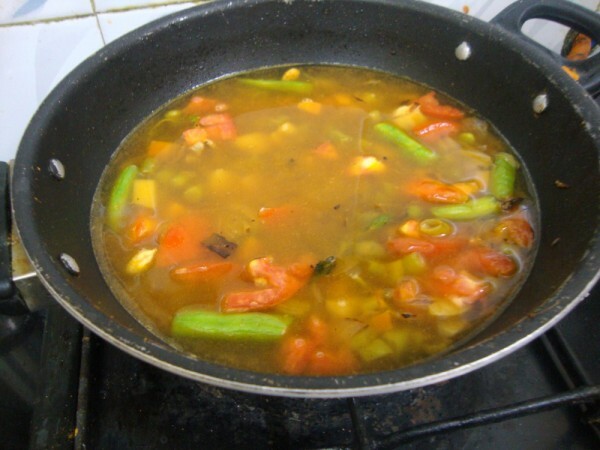 If you can’t micro, then add to the pan and cook till the vegetables are tender. In that case you can increase the water to 1:2 ratio. I personally felt that instead of whole spices, I should have added them as powder as I don’t normally like to munch on these and it also makes a job easy when you want to feed this to kids. 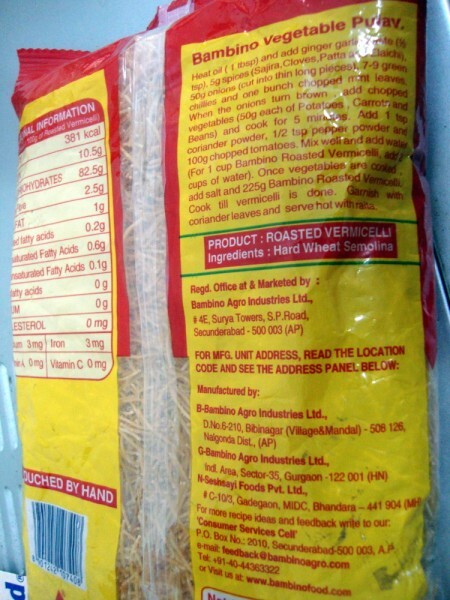 I agree on vermicelli being one of those life saver ingredients. Best part is that it can be adapted in any way and substituted for so many things!! Nice recipe! ditto on avoiding this when my mother made it and using it frequently now. 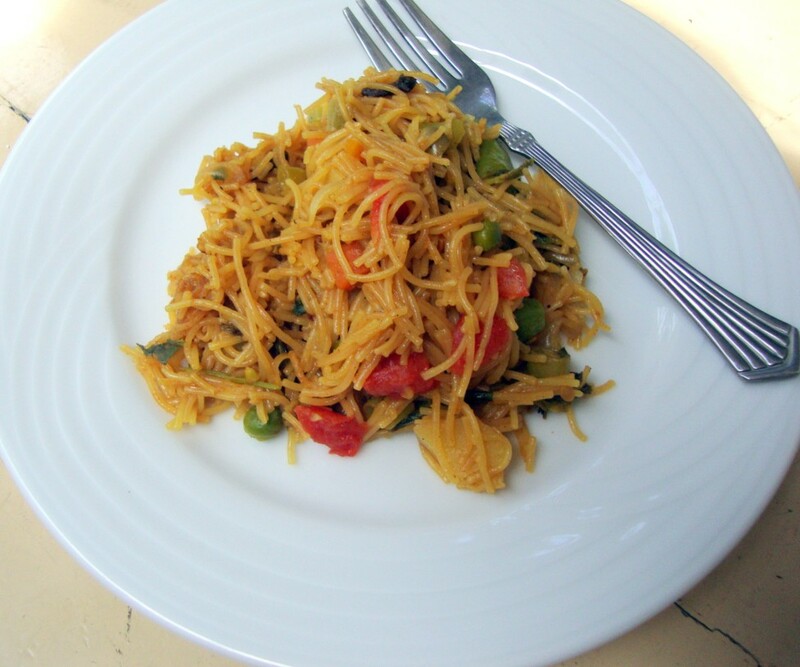 I love vermicelli and also have that wrapper with biryani recipe saved to try. I usually go with 1 and quarter cup of water for each cup of vermicelli I use to avoid it being mushy / soggy. 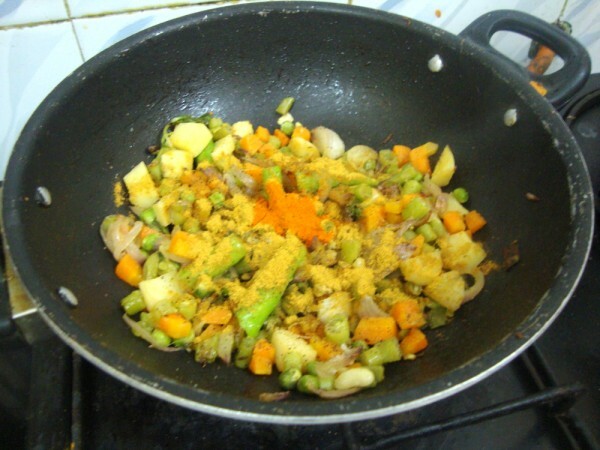 Semiya upma is a quick and easy recipe.. love with lot of vegetables. Healthy and tasty dish..Looks great! I recently made this and my son loved it. I love that it cooks pretty quick. Lovely recipe.. Looks perfect ! !